Isagenix prides itself in using the best natural ingredients to offer superior products that work effectively towards better health, fitness and wellness. All Isagenix products are rigorously tested to ensure their ingredients are absolutely safe and pure – no fillers, no artificial substances and no harmful chemicals or substances. 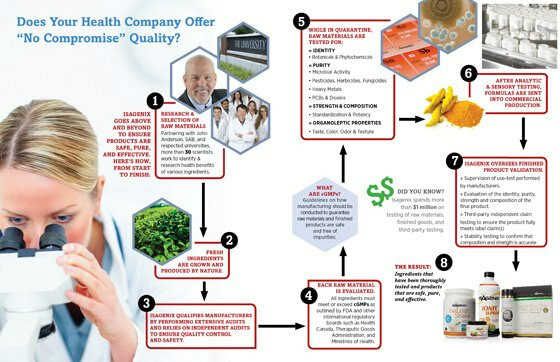 To achieve the highest levels of quality in its products, Isagenix has a strict and clear-cut process to ensure safety, effectiveness and purity. Step 1: Research and Select Raw Materials. Isagenix has partnered with more than 30 of the brightest minds in the area of nutrition, such as the likes of John Anderson, the professionals at the Scientific Advisory Board and scientists from respected universities, to form a research team to identify ingredients and determine their health benefits. Step 2: Production of Ingredients. 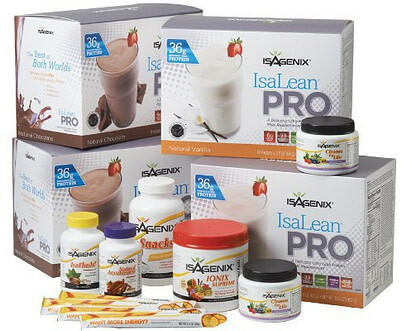 Isagenix products use fresh ingredients that are grown in a natural environment or produced naturally. For example, the protein used in the IsaLean Shake comes from the milk of pasture-grazing cows that did not receive any hormonal or antibiotic treatments. All manufacturers are qualified by Isagenix through extensive internal and independent audients for quality control and safety assurance. Every ingredient is evaluated and handled to ensure it meets regulatory manufacturing standards such as the US FDA’s Current Good Manufacturing Practices (cGMP) for dietary supplements, as well as guidelines outlined by other international regulatory boards that guarantee the safe and quality manufacturing of raw materials and end products. These guidelines include procedures for determining the authenticity of materials, quarantine and release, testing the purity and potency of both raw materials and end products, maintaining cleanliness at the facility, staff training, plus proper documentation. By meeting and exceeding these standards, Isagenix can proudly release its products anywhere in the world and confidently stand by their quality. To make sure every phase of the manufacturing process is consistent and safe, Isagenix follows comprehensive written standard operating procedures, including placing every raw ingredient under quarantine to be meticulously inspected and tested. Materials are also strictly and extensively tested for microbial activity and the presence of heavy metals and harmful substances to ensure their safety and purity. 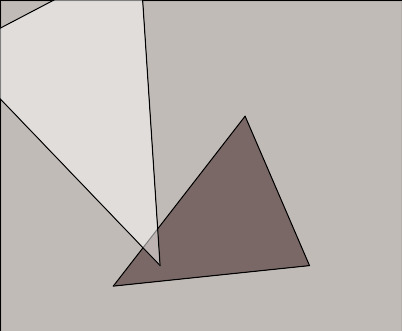 If the raw material does not pass the standard tests, it is rejected. Step 5: Finished Product Validation. Isagenix extends its quality assurance to all of its finished products. It tests not only the raw materials it uses, but also evaluates the final product to check its efficacy. The validation process also includes re-analysis of the products to verify their identity and ensure purity. Claim testing is also conducted by a third-party company to ensure that the vitamin and mineral content of Isagenix products are exactly what is stated on product labels. The stability of products is also tested to validate that the strength and composition indicated on their label is accurate up until the expiry date. From beginning to end, the Isagenix “No Compromise” policy on quality ensures what’s inside every Isagenix product is only the best ingredients that are manufactured with the highest level of safety for optimum health benefits.